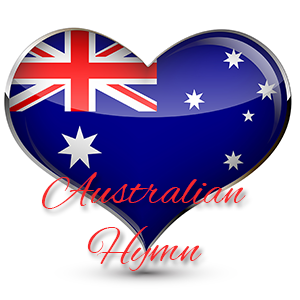 Australian Anthem was written by John Dunmore Lang in December 1826. It was included in the final 6 songs to be voted as the Australian National Anthem, but was removed from the final vote. I assume it was removed because it is an ode to Britain, to God and to racism against the Aboriginals of Australia – the first inhabitants – rather than an ode to everything that makes Australia great. 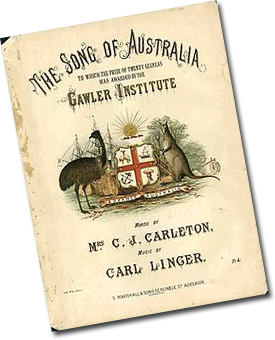 The Song of Australia was written by Caroline J Carleton in 1859 for a competition sponsored by the Gawler Institute. The music for the song was written by Carl Linger. Both Caroline and Carl were awarded ten guineas for their entry. This was one of 6 songs nominated for the Australian National Anthem along with God Save the Queen. At the end of the vote, it ranked as number 4. God Save The Queen is the Royal Anthem of Australia. It was composed by Henry Carey and first sung by him in 1740. This Anthem is sung in the presence of members of the Royal Family and on formal occasions in many institutions of dignity and tradition. Advance Australia Fair was composed by Peter Dodds McCormick in the late 19th century. It was sung as a patriotic song after being performed for the first time at a Highland Society function in Sydney on 30 November 1878. 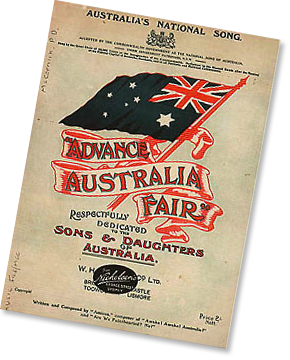 On 1 January 1901, an amended version was sung by a choir of 10,000 at the inauguration of the Commonwealth of Australia. When the First Fleet arrived from England, they bought with them God Save the Queen (or King) as the National Anthem. As Australia gained its own identity, the need to have it’s own National Anthem became more of an issue. Through the years many competitions were held to find a replacement Anthem that truly spoke for Australia and its uniqueness.